Most kids love to sing. However, if you’re going to be leading a group of kids to sing, you’re going to want to make sure they take the time to warm up their voices. 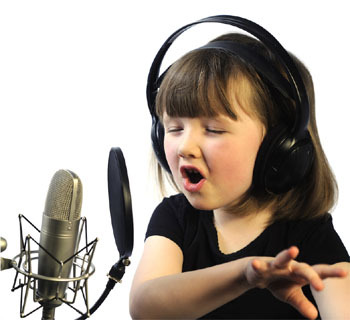 Below, you’ll find some of the best vocal warm ups for kids. All of these techniques will help kids sing out loud and strong. Kids have a lot of energy. If you allow them to burn off some of that energy while they warm up their voices, they’ll be more engaged once the singing starts. This simple warm up gives kids a chance to shake their bodies and have some fun! This vocal warm up exercise requires kids to count down from 10 while shaking various parts of their body. They can start by shaking their left hand, then move on to their right hand. From there, they can shake their left foot and then their right foot. This exercise will get kids laughing, moving,yawning and ready to sing! Tongue twisters are a lot of fun for kids, and they’re also a wonderful way to warm up the voice. If you’re trying to get a group of children ready to sing, you may want to have them try a few tongue twisters first. 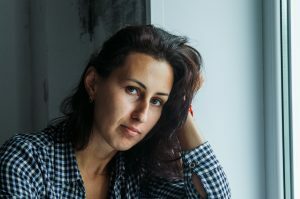 Whether you stick with classic tongue twisters like the one about Sally selling seashells or come up with tongue twisters of your own, the tongue twisters will force the kids to focus on the movements of their mouth. Tongue twisters can make kids into better singers! Sometimes, the best vocal warm ups for kids involve a bit of singing. Rounds can help to teach children important vocal skills, like harmonizing. If you’re going to be leading children in a round, you’ll probably want to pick a song that most of the kids are familiar with. Row, Row, Row Your Boat is a classic. Three Blind Mice is also a very good choice for a round. No matter what song you end up picking, you and the kids you’re singing with will have a fantastic time. If the kids you’re going to be singing with are bouncing off of the walls, you may have to calm them down a bit before the singing starts. Breathing exercises can help kids to regulate their energy and focus. There are a lot of simple breathing exercises that you can engage in with kids. For example, you may want to encourage the kids to breathe in air like they are sipping through a straw. You could also encourage the kids to chew make-believe pieces of gum as they breathe. Find ways to get the kids in your group to pay attention to their breathing. When you’re warming up your group, you may want to have them focus on a single note at a time. Instead of just having them say “ahhh,” you may want to have them sing some silly combinations of words. From “watermelon applesauce” to “double bubble bubble gum” you should be able to think of plenty of phrases that will be fun for kids to sing. If you’re going to be singing with a very young group of kids, your best bet is to focus on something simple. One of the first things that young kids learn to sing are their ABCs. Try to find entertaining new ways for kids to sing the alphabet. You may want to have them sing the alphabet very quickly, or go through the alphabet slowly. No matter how you have them sing, every kid in your group will know exactly what they should be singing. 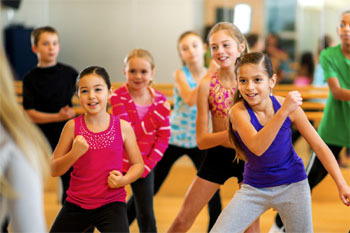 The best vocal warm ups for kids are the warm ups that consider the needs of the group. If you’re working with small kids, singing the alphabet is always going to be a good idea. If the group you’re trying to sing with doesn’t seem very excited about singing, you may want to make their warm ups feel more like a game. You don’t have to tell the kids that they’re warming up their vocals. Instead, invite them to play some sort of game. There are all kinds of fun games that can help kids to warm up their voices. For example, you can have kids through a ball every time they move from one note to another. You could also try clapping games. No matter what kind of games you choose, you should pick something that your group will be able to have some fun with. 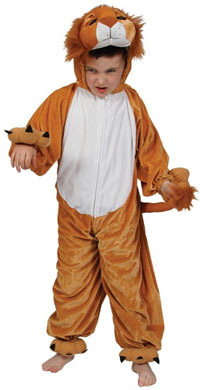 Instead of having kids sing like people, encourage them to imitate animals. When you start them off, you could encourage them to hiss their notes as if they were a snake. After that, you could have them moo through their scales. Making animal sounds can be fun for kids, but they’re also a very good way to warm up vocals. If you want to get the kids in your group more involved, you could give them the chance to pick the next animal that everyone will imitate. It’s normal for kids to say hello to people as they go throughout their day. Whether they’re greeting their friends or their teachers, most kids are constantly saying the word “hello” over the course of a day. Since kids are used to saying hello, why not have them sing it? Have the kids go from one note to another as they sing hello to each other. You can sing out a greeting for every child that’s a part of your group. This exercise can really make kids feel included. There are so many fantastic vocal warm ups for kids. 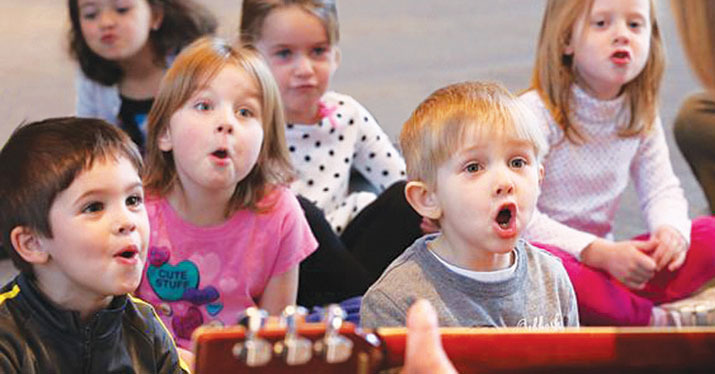 The warm ups above will help kids sing their hearts out without damaging their vocal cords. They’re also a lot of fun! If you’re looking for fun music activities for kids, you should definitely give these warm ups a try.